UK supermarket giant Tesco has launched its “biggest trial” of Bluetooth beacon technology to date in partnership with consumer goods company Unilever. BLE beacons have been installed in 270 stores across London for the pilot and will be used to send out special offers to promote Magnum ice cream’s Pink and Black marketing campaign. 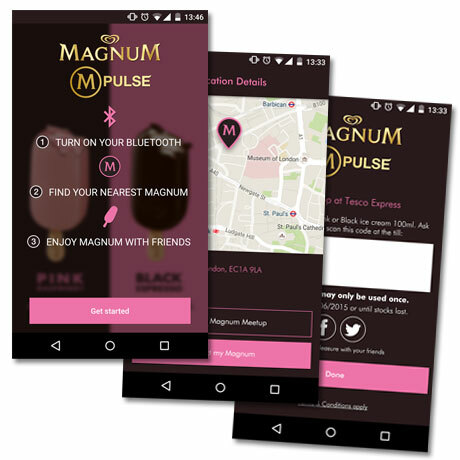 “Customers who download the Mpulse app will receive exclusive coupons for discounted Pink and Black Magnums when they pass by iBeacons located in 270 Tesco Express stores across London and via push notifications powered by Urban Airship,” Karmarama, the London advertising agency that developed the app, explains. The pilot will run for three weeks and “no customer data will be collected or provided by Tesco as part of the trial,” the company adds.